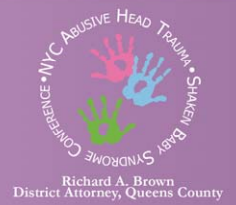 This fall’s NYC Abusive Head Trauma/Shaken Baby Syndrome Conference, sponsored jointly by the Queens County District Attorney’s Office and the New York City Office of the Chief Medical Examiner, will feature some of the most outspoken proponents of shaken baby theory but also a few of the skeptics. Past Queens conferences have featured roundtable discussions that included critics as well as proponents of shaken baby theory, but this year’s schedule lists two full presentations from skeptics, one by attorneys Keith Findley of the Wisconsin Innocence Project and Adele Bernhard of the Post-Conviction Innocence Clinic, and one by pathologist Patrick Lantz, who has criticized the child abuse literature for adopting guidelines about retinal findings without objective scientific evidence. 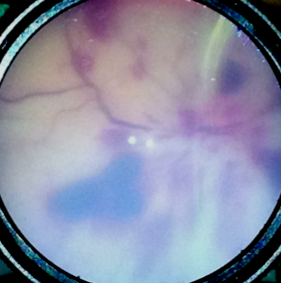 Dr. Lantz, a pathology professor at Wake Forest Baptist Health in North Carolina, is one of two speakers at the Queens conference scheduled to talk about retinal hemorrhages. The other is ophthalmology professor Brian J. Forbes at the University of Pennsylvania School of Medicine. In 2004, Dr. Lantz published a case study and critical literature review in the BMJ that cautioned against relying on retinal findings when diagnosing abuse. He has since encouraged pathologists to gather more data by capturing retinal images in all child deaths, whether or not abuse is suspected. [T]he public’s understanding of the science and law of abusive head trauma is coming principally from media coverage… of criminal trials… The problem is the trial and the appellate courts are confusing valid medical evidence with outlier opinions promulgated by a handful of interested defense witnesses who don’t treat children. 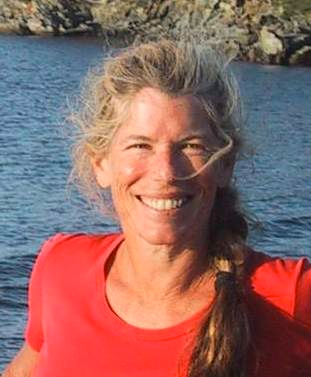 For more of Prof. Moreno’s thoughts on the controversy, see her 2013 law review article “Dissent Into Confusion: The Supreme Court, Denialism, and the False ‘Scientific’ Controversy Over Shaken Baby Syndrome,” co-authored with attorney Brian Holmgren. 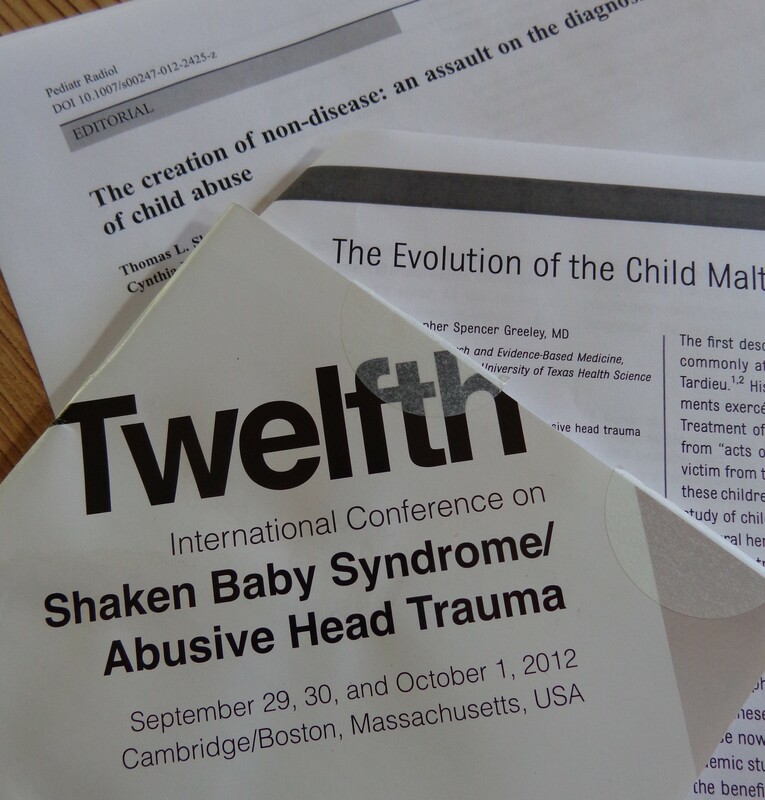 In 2012, in a keynote address at the Twelfth International Conference on Shaken Baby Syndrome/Abusive Head Trauma, Dr. Greeley dismissed critics of shaken baby theory as child-abuse denialists who are manufacturing controversy where there is none. I’m not sure how much common ground the various speakers are going to find at this fall’s conference, but I’m glad to see that the two sides are starting to appear on the same programs. For the conference agenda and registration form, follow this link. Reblogged this on ny121asil @ASilva_NY.